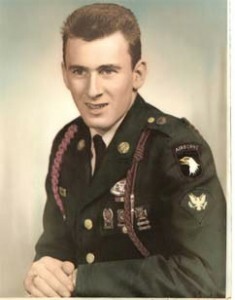 Jesse H. Stallings was a Vietnam combat veteran who suffered from post-traumatic stress disorder (PTSD). Tragically, he took his own life when he was only 33 years old. At the time, there was little assistance available locally for veterans like Jesse. With the deep conviction that her husband’s death was unnecessary, and equally commited to doing whatever possible to prevent further needless deaths, Jesse’s widow Cathy founded the Vietnam Era Veterans Outreach Center in Fitchburg, Massachusetts. Opening in June 1981, the organization made its mission to provide readjustment counseling for Vietnam veterans and their families. Since its inception, the center has expanded its services to include veterans of all eras. In 1988, it became known as the Montachusett Veterans Outreach Center (MVOC). Cathy Stallings McWilliams remains strongly committed to the center, which is now housed in an expanded facility in downtown Gardner, Massachusetts. MVOC is a private, nonprofit agency organized under the Internal Revenue Code 501 (c) (3). Montachusett Veterans Outreach Center is Jesse’s legacy. The organization provides support to military veterans and their families in need of services to develop a resilient, self-sufficient lifestyle. MVOC endeavors to treat all veterans with honor and respect. Like Jesse, their service to our country will never be forgotten.